Welcome to the lovely city of Barnsley in South Yorkshire. If you are planning to seek out a brass band or go and eat at a gourmet restaurant with your friends then a stylish and luxurious black Mercedes S Class will leave a lasting impression of style and glamour and will lift your spirits up for quite a while. Starlimos provides you with an excellent quality service with assured satisfaction. If you are looking to hire a modern chauffeur driven car in the Barnsley area, then Starlimos will be able to provide you with a wide choice of vehicles, whether it is for business travel, leisure trips, weddings or airport transfers or simply a night in Barnsley. In Barnsley we provide cheap luxury Limousine Hire for all occasions including Barnsley journey trips, Barnsley wedding limos, birthdays, girl’s nights out, engagements, anniversary limos, school proms, concerts or simply a way to arrive in Style. Party bus hire is the new craze for a nightclub on wheels! 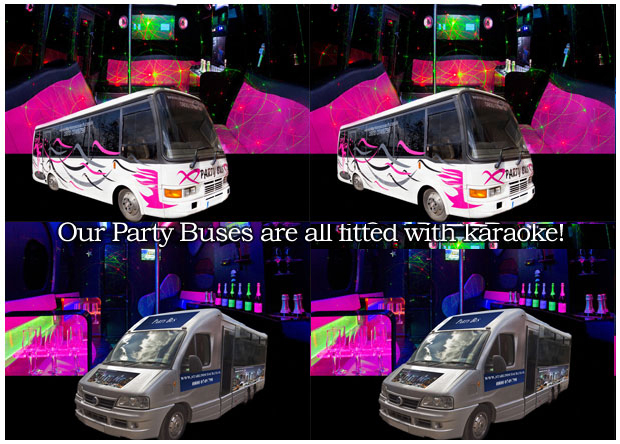 So Why not party in the party bus where you will find an interior of bright lights and an amazing music system for your nightclub on wheels. Our services offer luxury 16 Seat Coaches to Hire Available 24 hours a day 365 days a year. We operate our own fleet of vehicles for limo bookings in Barnsley and we do not use a limo broker, so we can pass on the best prices to our customers. We are members of the National Limousine and Chauffeur Association (NLCA). It should give you more reassurance and security to know that you are booking with a licensed operator that complies with current safety requirements. We also offer our exclusive, wedding cars, Party Limo Bus, Limo Hire and Executive Chauffeur hire cars in Barnsley.